I absolutely love buying books for my little ones. It's something I never mind spending money on, and it's always exciting to have a new book to read together. 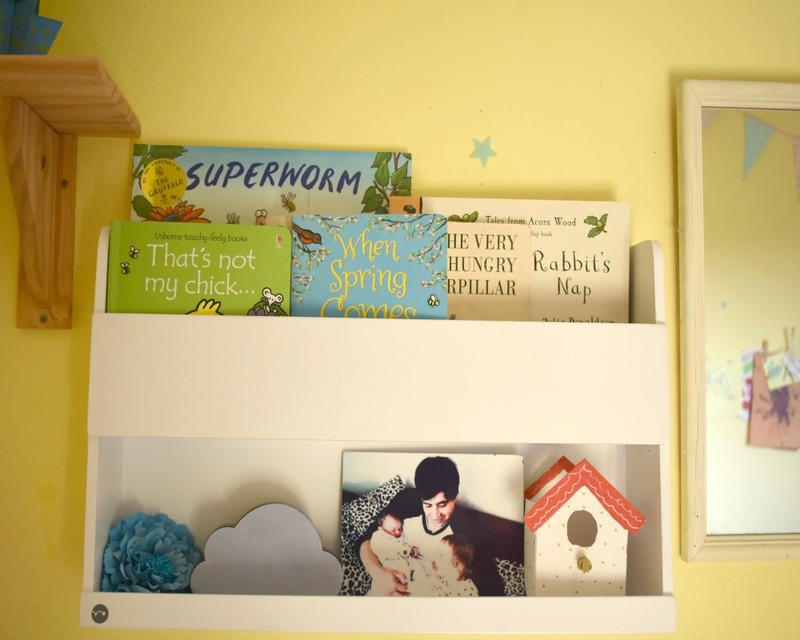 We were recently given the opportunity to review the Tidy Books Bunk Bed Buddy, a bedside shelf that's perfect for storing and display your little ones' books as well as any other decorative items or bedtime essentials! What I particularly love about this shelf is how chunky and sturdy it is. I was worried about having a shelf so far down that the little ones can reach it themselves, but the shelf fits so securely to the wall, it's not budging! I love the fact that they little ones can help themselves to a book whenever they fancy it. I've always loved the idea of having a certain set of books on display at any particular time, for example, an occasion (such as Easter) or seasonal (such as Spring!) 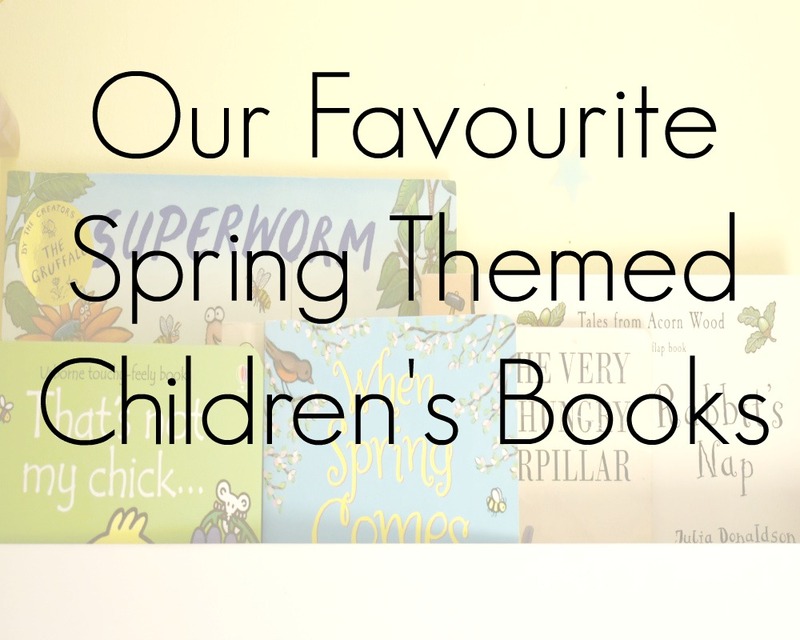 so I decided to set up a little display of all our favourite Spring themed books! That's Not My Chick We seem to be acquiring a small collection of the 'That's Not My..' books! The little ones love them, and I quite enjoy reading them and they are short & sweet. It's the perfect little spring addition to our collection. We have a funny way of reading these stories too, we read the book once, then we go back through it page by page and I shout "Where's the mouse?" and the little ones race against each other to spot the mouse first. Superworm Our favourite books of all, are definitely the Julia Donaldson/Axel Scheffler collection. I'm 99% sure we have them all now and we read at least one every night! 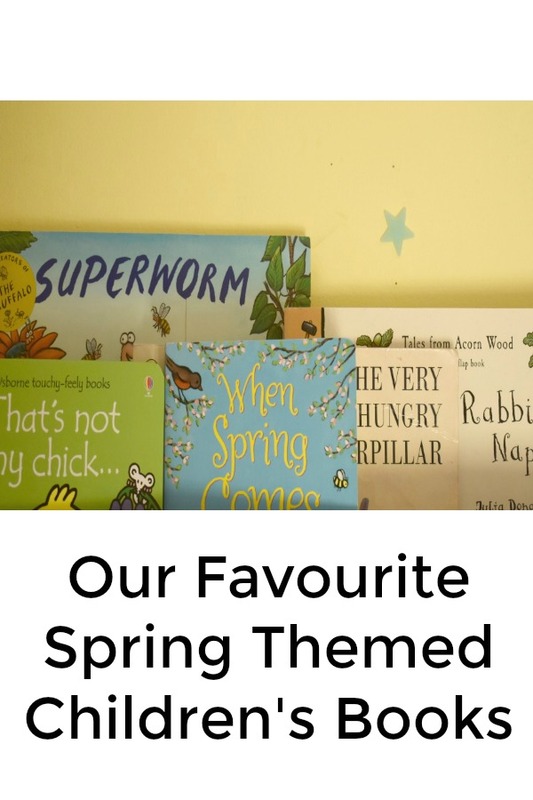 Superworm is one of my personal favourites, and I felt it was very Spring appropriate because of all the little creatures that are popping up in our gardens this season. We've been doing lots of gardening together recently, and love discovering a worm or two! The Very Hungry Caterpillar The Very Hungry Caterpillar is such a classic book, it has to be on every child's bookshelf! It's such a simple story, but fun to read for both parents & little ones. We've even made some Very Hungry Caterpillar crafts in the past, and it's a very appropriate Spring as this is exactly what will be happening with our fuzzy little friends right now! When Spring Comes When Spring Comes is a really sweet book, all about the seasons transitioning from Winter, to Spring, to Summer, and all the changes it brings along the way. It's a great book to help your little ones to learn about the different things that happen throughout the seasons! Rabbit's Nap Another Donaldson/Scheffler classic. This one is from a different series, aimed at younger children called Tales From Acorn Wood. These were my little girlie's first ever favourite books, and they soon became my little boy's favourites too. Rabbit's Nap is such a sweet, short, rhyming little book with fun lift the flaps too. Perfect for little ones, and older ones too! As you can see, our Tidy Books Bunk Bed Buddy is the perfect size for display these seasonal books, and I love that you can use the bottom shelf for a few little bits & bobs too. My little girlie loves displaying her flower hair clips, and an adorable photo of them both & their daddy. The Bunk Bed Buddy is from Kiddies Kingdom, and although the price is a tad steep - £57, you definitely get your moneys worth and get what you pay for! The shelf is such high quality, I can see it lasting a really long time! Plus the Bunk Bed Buddy doesn't just need to be used to display books, and it's so strong and aesthetically pleasing it can be used for a variety of purposes too, such as in the bathroom to display toiletries or even next to your own bed. I'm really very impressed with it. This post was sponsored but I did not receive monetary compensation. I received the some of these products to review. All opinions are my own.